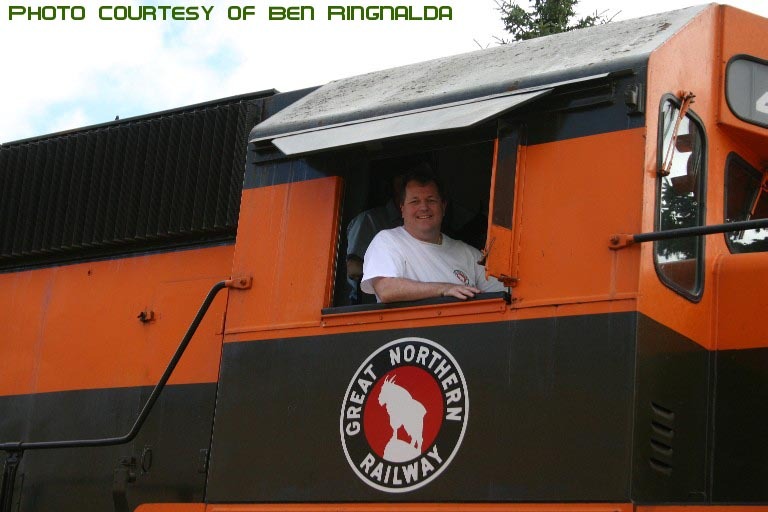 This is what I’d rather be doing — operating an EMD SD45! Fergus Falls, Minnesota, Monday, July 18, 2005 during the GNRHS convention. I’m at the throttle of GN #400 “Hustle Muscle”. 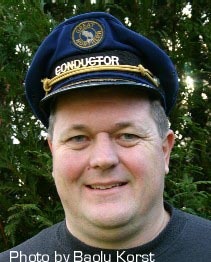 Great Northern Railway Historical Society http://www.gnrhs.org Creator and former webmaster. Board Member 2006 to 2011, 2015 to 2017. Member since 1997. Now semi-retired, I work part time for a nationwide home improvement company close to home. I have lived in the Pacific Northwest for almost 40 years and still enjoy getting out and railfanning the old Great Northern mainline through Stevens Pass.